The Surface Pro 3 is real, and Microsoft's "tablet that can replace your laptop" looks mighty impressive on paper, from its pixel-packed 12-inch screen to its almost impossibly slim 0.35-inch chassis, which hides up to a full-blown Core i7 processor. 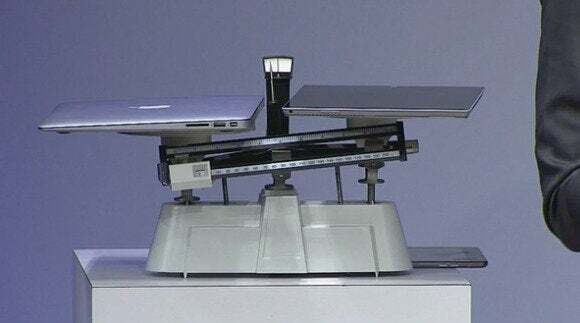 And that's only on the, er, surface: the thoughtful design tweaks Microsoft integrated into the tablet, from the deep OneNote pen integration to the improved Type Cover trackpad and more flexible kickstand, seem sure to make Microsoft's new slate far more comfortable to actually use than its smaller predecessors, as well. 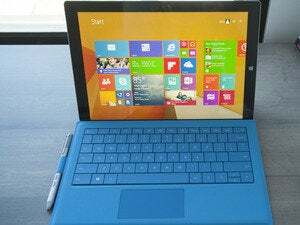 We're working on a Surface Pro 3 hands-on right now, but in the meantime, here are the hard nitty-gritty specification details that Microsoft only brushed upon in its Surface Pro 3 introduction—including detailed pricing and configuration info. 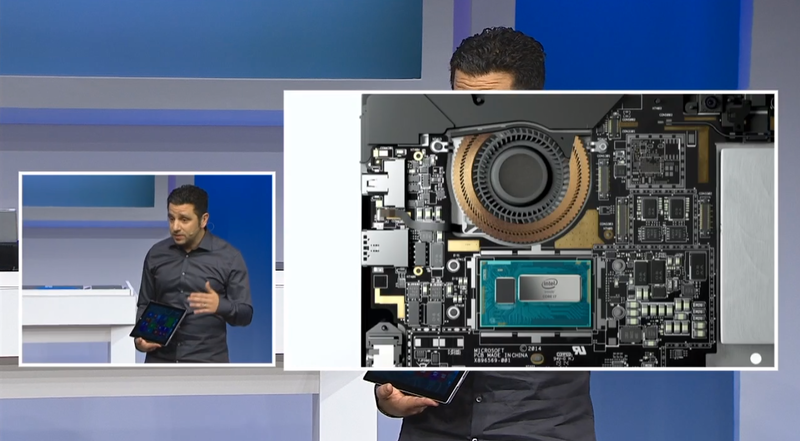 Surface head Panos Panay touted the Surface Pro 3's Core i7 processor during its launch announcement, but there will actually be a wide (dare we say "PC-esque?") 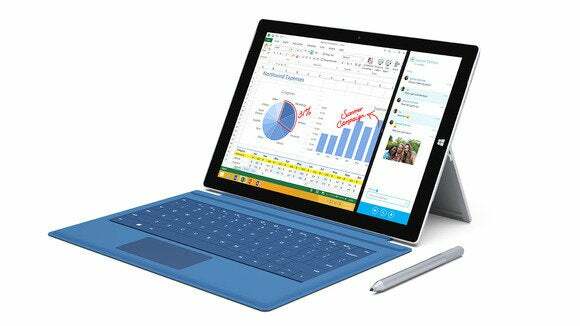 range of Surface Pro 3 configurations available. While the smaller Surface Pro 2 limits options for the device's on-board storage, the Surface Pro 3 will be available in a multitude of flavors, from a model with a Core i3 processor and 4GB of RAM for $800 all the way up to a version with a powerful Core i7 processor and 8GB of RAM for a jaw-dropping $1950. They all contain a Trust Protection Module 2.0 chip to alleviate enterprise security conerns. The Surface Pro 3 isn't fanless, but Panos Panay says "we reinvented the fan to make it 30 percent more efficient than any fan in any product today, radially emit air so you never feel it or hear it or see it." Microsoft says the Surface Pro 3 will have up to nine hours of "web-browsing battery life," though you shouldn't expect that sort of endurance from the more potent models. The Surface Pro 3 packs a 12-inch ClearType display with a 3:2 aspect ratio and 2160-by-1440 resolution, buoyed by what Panos calls "The highest contrast ratios in the industry." Of course, the tablet's screen includes full multitouch support, not only to play nice with your fingers but also with the included digitizer pen that ships with the slate. The pen features 256-point pressure sensitivity and innovative OneNote integration via a click-top button, which you can read more about in PCWorld's Surface Pro 3 reveal. Microsoft managed to make the Surface Pro 3 thinner than any other Surface, but still maintained the series' focus on connectivity options. The Surface Pro 3 (sans keyboard) is much lighter than a MacBook Air, at 1.76 versus 2.38 lbs., respectively. Silver's the only color option, alas. Dimensions: 7.93 in. x 11.5 in. x 0.36 in. The tablet also packs a bevy of sensors: An ambient light sensor, an accelerometer, a gyroscope, and a magnetometer. It wouldn't be a Surface tablet without a wide range of available accessories. Notably, the lack of Touch Cover options for the Surface Pro 3 drives home that this device is meant to be a versatile laptop replacement, not a tablet in the traditional sense. It's too bad that there's not a Power Cover keyboard accessory available for the Surface Pro 3 (not that you can ever find those in stock anyway). Again, PCWorld's Surface Pro 3 reveal has more details on the digitizer pen, newly hinged SP3 Type Cover, and the SP3 docking station.